Consultant urologist Dr Adam Carter, admitted to the error and highlighted that as a result of the death, a modified operating procedure had been communicated ‘worldwide’. Her son Alan, 52, praised Dr Carter for his honesty and the hospital for ‘owning up’ early. Following the hearing he said: ‘We appreciated Mr Carter’s honesty and him coming along here today and hope that we can put it all behind us now. ‘I think that it was the honesty that saved the hospital. If we thought that they had not answered our questions it would have been different. As the trainee wasn’t confident enough to remove the organ Dr Carter was forced to take over, and during the changeover confusion occurred. Son Alan said before the inquest finished: ‘We accept the decision and we also accept that Mr Carter and his team acted in good faith to prolong my mother’s life. I received this same operation 05-Sep-2001, in the same theater, but then laparascopic surgery for a nephrectomy due to cancer was NOT often practiced and my operation was a full open operation sadly this increases the risks of infection and prolongues recovery but despite serious infection and a fully herniated wound the operation saved my life. YES accidents happen in surgery as it is not an exact science – Obviously there was no intention to cause an infection nor intent to create a massive inoperable hernia – It is called an accident and I totally endorse the attitude of Mrs. Francis’s family, I also endorse the decision to protect the tranee surgeon from identification and clearly the responsibility, if not the action, was Adam Carter’s. I have known Adam Carter since before he took over leading the team when Windsor Bowsher sadly died 11-May-2011. His actions in this issue have been entirely honourable as I would expect and I would be happy to have him operate on me, if I ever need further complex surgery. Some weeks after my operation a friend of mine, who is a senior nurse at the same hospital, lost her father on that same operating table whilst having a nephrectomy due to cancer. In his case the death was unrelated to his cancer or his kidney as he died of a massive heart attack at the very start of the operation and despite being in exactly the right pl;ace to help him survive the team were unable to revive him. Yes accidents and tragedies happen and the risks are higher in hospitals but with a clear case of an accident that the hospital and medical team immediately keep the family or victim informed – unless there is clear negligence or similar – there is no moral ‘right’ to capitalise on the accident. I am sure that Mrs. Francis would have been proud of her family’s response to her unfortunate ACCIDENT, just as I applaud Adam Carter’s courage in being totally transparent. 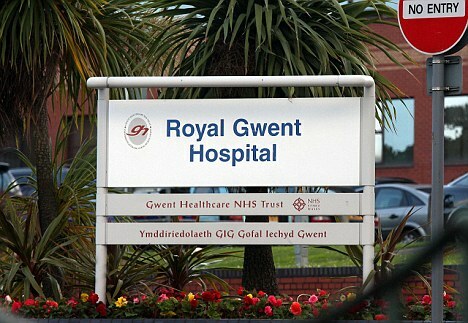 This entry was posted in accidental death, Adam Carter, Amy Francis, Cancer, Kidney, Kidney Cancer, Liver, Royal Gwent. Bookmark the permalink. ← SUPPLEMENTS – A bit of Background for YOU!